I know we have all seen the e-cards that are making their way around the Internet. Now, you may be sick of them, but I happen to think some of them are pretty darn funny and cute. 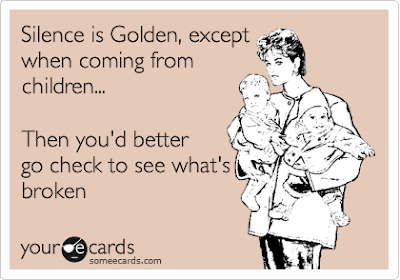 I have put together some of the best parenting ones that I could find and that were "clean" enough to post on my blog, and thought I would share. Enjoy! LOL These are all so ME! That first one is soooo true!! LOL!! The first one is so true. I get my best cleaning done then. Love all of them! I just got home from a family vacation so that card especially hits home. You had me on the first one. That first one has me all over it. Yeah,it's amazing how you can get your house together in 10 minutes. LOL too funny, I especially like the last one. I enjoy reading these- they are sooo funny! Love it! 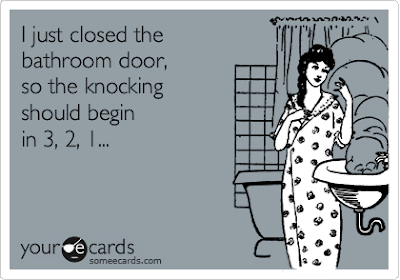 Bathrooms are definitely not made for privacy if you're a mom! 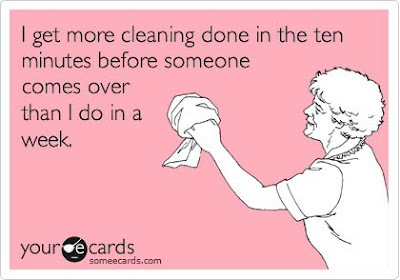 Yep, my time for cleaning is once the kids are in bed each night. 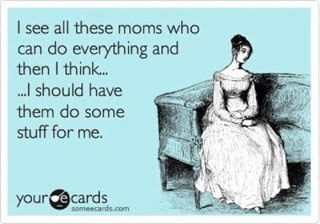 I do the whole house then and it only takes me a short amount of time. This first one about cleaning is sadly very true in my household. 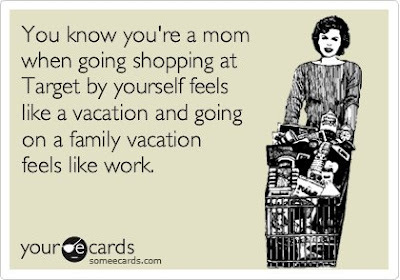 Target as a vacation...yup. I go there every Sunday for some ME time. Sad, yes, but so pleasant. LOL, I've seen most of these on Facebook and I always get a good laugh. 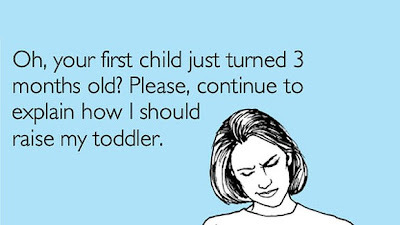 These are all super funny! The first one is so true, lol! The first one and the target one - perfect!! 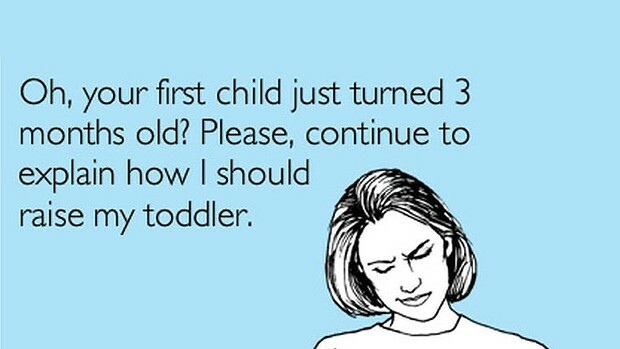 LOL I think everyone of those have applied to my life since becoming a mom. These are great! 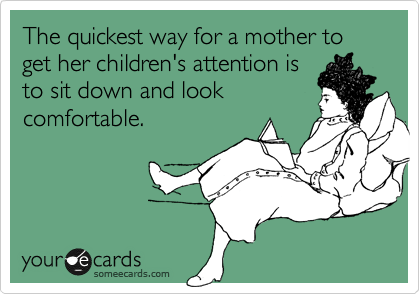 I'm not a mother yet, so I find these to be very insightful and telling of what is to come when I do have kids!